Want to be free of the habit of smoking. Whatever your motivation, this 5 session package will help you drop the addictive habit, easily and effortlessly, by addressing both the physiological and emotional causes of the habit. Hypnotherapy will support your decision and choice to become a non-smoker, in a way that is ecological and for your highest benefit only. We will work together to create a smoke free plan that is individual and best suited to you, and uncover and resolve any conflicting parts that are not aligned with the goal of quitting, so that your genuine needs are met in ways that are life enhancing and only beneficial for you. 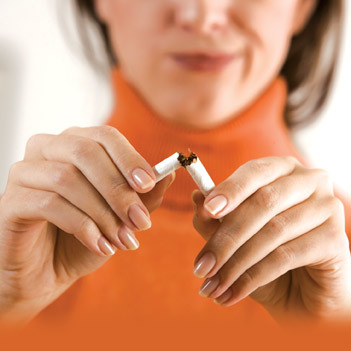 Sign up to the Quit smoking session(s) discounted package now. Contact details here. The short and long-term financial, emotional and health benefits of taking charge of your own health and well being are off course tremendous. Also see Testimonials page for feedback from just some of the clients who have had success and benefited from this service. I have now overcome my issues and continue to unravel them. I am happy again, more relaxed about life generally and able to communicate properly with others and to deal with anything that life throws at me. On top of this, I am enjoying myself, and for the first time in years I can feel happiness within me. After the sessions, I always felt some element of release; confidence in myself, more at ease, less pain, and always conclude with some new focus. But the brilliant thing about Johneal's method of work is that it is organic. It grows naturally, it is not forced. And by result the outcome is fantastic. He has helped me achieve my initial goal of stopping smoking and exceed this. And I suspect the balance he has helped me strike in life will stay with me forever. Call 020 75852076, or email johnealrouse@gmail.com and decide to quit the habit now.